This modern twist on the classic pearl strand is a staple for the non-traditional woman on-the-go. 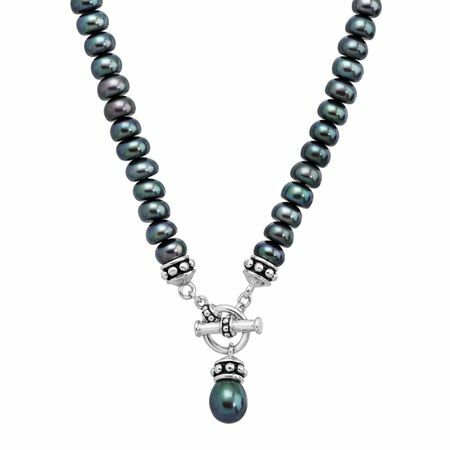 7.5-8 mm black freshwater pearls are strung along this moody strand, met at the base with a 9-9.5 mm black freshwater pearl with intricate sterling silver craftwork. Piece measures 17 inches in length.